On a beautiful spring day I drove to Rockville, Indiana to visit Jodi Jones at the first job she has ever held. I was excited to meet Jodi and learn about all of the assistive technology that has assisted her in successfully obtaining employment. Jodi got her first job at Scott Pet Products and is working as the receptionist in the front office. Scott Pet Products is a family-owned pet supply manufacturer. When I arrived at the factory, I was greeted by Jodi who checked me in and I sat and talked with her while she took incoming calls and greeting guests. During our visit, I learned that Jodi was born in Terre Haute and her family home is only five minutes from the factory in Marshall, Indiana. Jodi is blind and she told me that she has been blind since birth. Jodi attended Turkey Run Elementary school until 7th grade and then went to the School for the Blind in Indianapolis and moved back home to live with her family when she graduated in 2016. Jodi told me that while in high school she struggled to learn any technology. 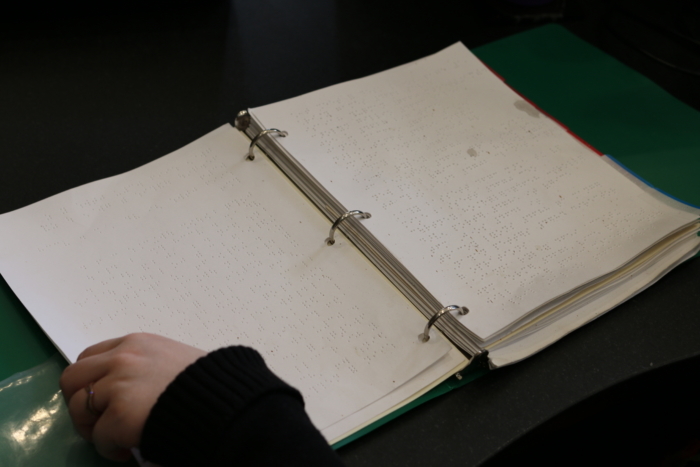 She was taught to read braille and was using a braille embosser, but she was not use a computer or any other technology, because she found it too difficult to use. In the past, she tried to use Window Eyes screen reader, but said she never successfully used it because there were too many commands to learn. After graduating high school, Jodi started working with a local job coach to begin her search for employment. With Jodi’s job goal being an office position, her job coach told her she would need to have technology skills to obtain one. Jodi has been a consumer of Vocational Rehabilitation (VR) for years, which is a state agency that assists individuals with disabilities in obtaining or maintaining employment. Jodi and her job coach reached out to Jodi’s VR Counselor to discuss her job goal and her need to acquire technology skills to be competitive in finding an office position. 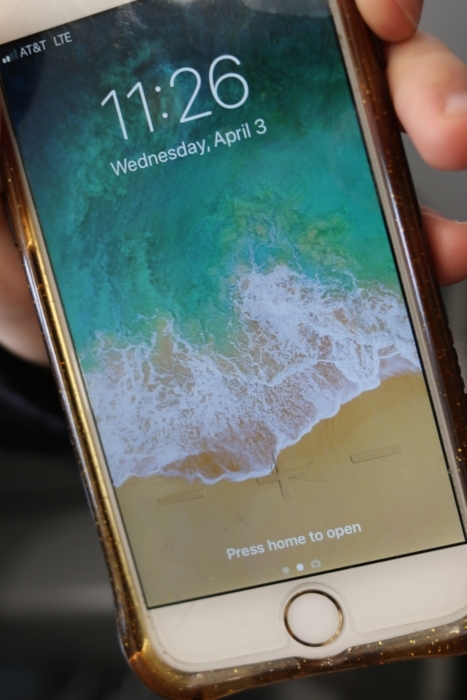 Her VR Counselor then referred Jodi to Easterseals Crossroads for an assistive technology evaluation so they could determine what type of assistive technology and training she would need. An assistive technology evaluation is a one-on-one evaluation to determine the appropriate assistive technology needs for an individual in their home, work, school, or in the community. 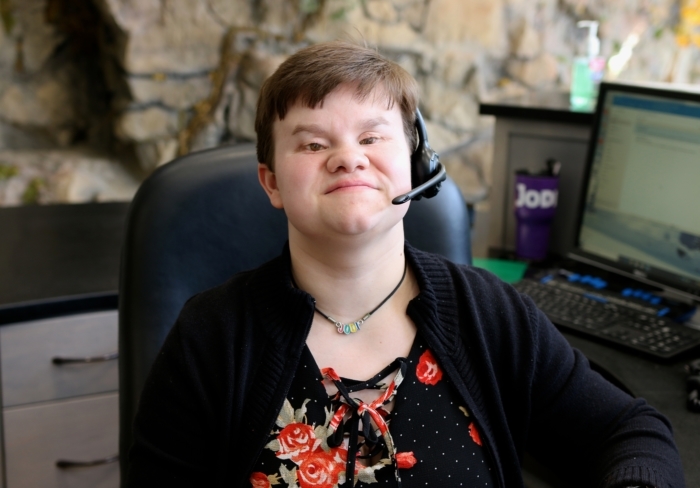 Jodi was referred for the assistive technology evaluation and was assigned to work with Belva Smith, Assistive Technology Specialist, at Easterseals Crossroads. As Jodi’s job coach helped her get her resume together, do practice interviews, and assisted her in applying for positions, Belva worked with her on her assistive technology needs. Belva first came to Jodi’s home to learn what type of position she was looking for and determine what tools would help her to be successful in obtaining that goal. Belva knew that accessing a computer would be Jodi’s biggest hurdle in obtaining an office position so she recommended a computer for home, a BrailleNote Apex, which is a braille notetaker that is compatible with Windows, and then once she became employed Belva recommended JAWS software to be installed on her computer at work. JAWS is a computer screen reader for Microsoft Window that allows individuals who are blind or visually impaired to read a computer screen with text-to-speech output or by using a braille display. Belva also recommended that she get a new braille embosser that would be compatible with her new computer. Jodi continued to work with her job coach to find employment. Jodi needed to find something close to her home because there is no public transportation where she lives. She would be dependent on family members to drive her to and from work. With her need to work close to home and her limited technology abilities, she did not get many call backs for an interview. After a year and a half of seeking employment, she was given the opportunity to interview for the front desk position at Scott Pet Products. When she interviewed for the position, the Director of Operations remembered Jodi from her days of showing cows at their local fairgrounds and advocated on her behalf for the company to hire her. When she was hired for the front desk position, Belva and Jodi’s job coach came to the jobsite with her to set up her desk so that it was accessible to her and assist in her training. Belva set up the equipment and trained Jodi on how to use Windows and the JAWS software. 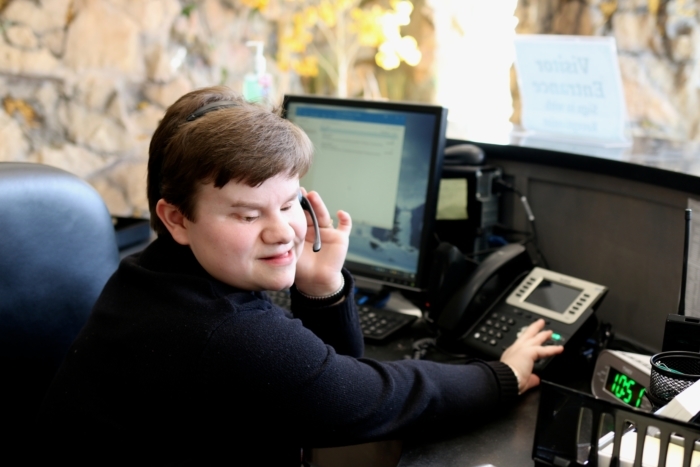 The front desk position requires Jodi to answer incoming calls, route calls throughout the building, greet and check in visitors, and sort and route anything dropped off at the front desk. Belva assisted her in getting JAWS set up on her desktop so she had access to company email. They set her desk and phone up with braille labeling so everything was accessible. 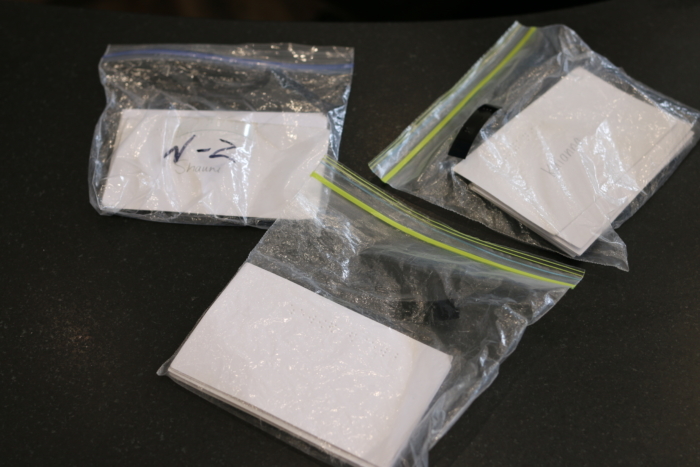 They also set up a system of cards that has each staff member’s names on them in braille so Jodi can take these cards and attach them to anything dropped off for staff. 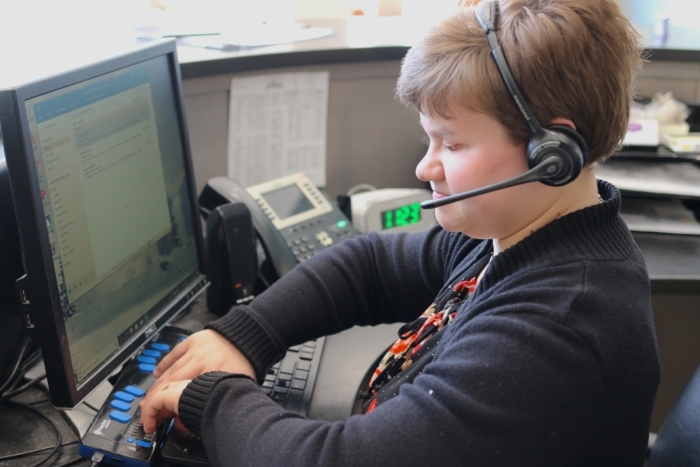 Jodi is great example of how assistive technology is game changer for people with disabilities. 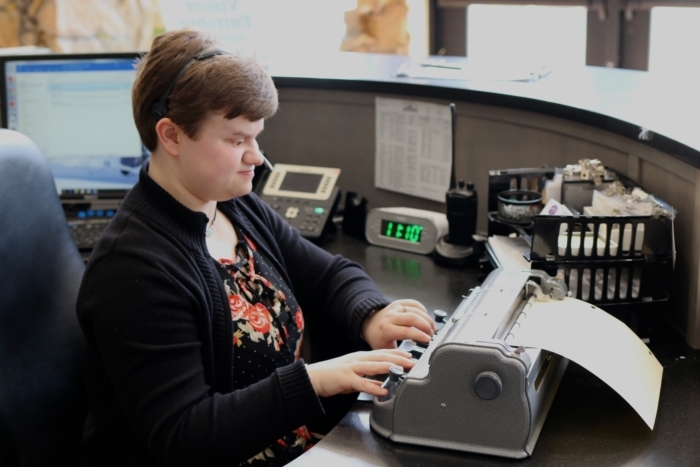 With the help of assistive technology, an accommodating company, Jodi’s parents and Jodi’s drive to succeed she is now working successfully in her dream job.